Nuclear Iran and the Prophecy against Elam | Looking for that Blessed Hope! Movement at the Bushehr power plant in Iran draws this prophecy closer to fulfillment. All through the Nuclear accord talks, Iran continued to slander and threaten Israel. Now there is real evidence to make good on their threats. Iran’s intent to purchase S-300 anti-aircraft from Russia is now a reality. 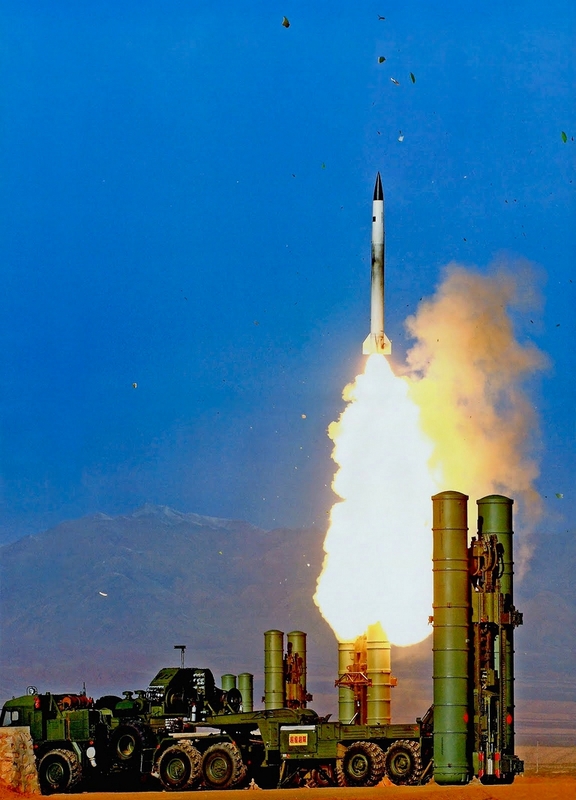 The S-300 is an advanced system for intercepting fighter jets and is intended to protect sensitive ground facilities. It is capable of engaging several jets at the same time and is considered one of the most advanced systems of its kind in the world. The FARS news agency quoted Dehqan as saying that Tehran asked for three batteries of the system and recently added a fourth one to the order. Iran has created a new command post to “fight Israel. Al Qods commander Gen. Qassem Soleimani, acting on the orders of Iran’s supreme leader Ayatollah Ali Khamenei, this week set up a new Iranian command to fight Israel.. It has been dubbed the Eastern Command of the Iranian Revolutionary Guards.The Al Qods Brigades, which are the external terrorist arm of the Guards, are organized according to sectors, with commands for Hizballah, the Palestinians, Syria, Iraq and the Gulf. Their newest sector is the Eastern Command which, our sources report has been assigned as its first task to start handing out weapons, including missiles, to any Palestinian West Bank group willing to receive them. Tehran’s object is to transform the West Bank into a territory hostile to Israel on the model of southern Lebanon which is ruled by the armed Hizballah and the Gaza Strip under the Hamas and Islamic Jihad terrorists. 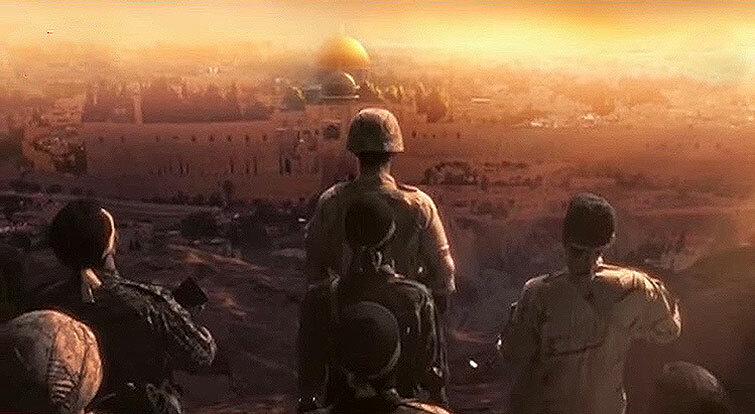 The Iranian Islamic Revolution Design House has created a video showing the buildup of various soldiers including the Iraqi Shia Badr Organization, IRGC, Lebanese Hezbollah, and Hamas ready to invade Jerusalem. What is amazing about this Islamic video is it shows scenes that look entirely prophetically Biblical in nature. Six Russian MiG-31 Foxhound interceptor aircraft from Moscow landed Tuesday, Aug. 18, at the Mezze Airbase situated in Damascus international airport, They were followed shortly after by giant An-124 Condor transports, which delivered 1,000 Kornet-9M133 third-generation anti-tank guided missiles. The Chinese and Russian navies are gearing up for their largest ever joint exercises, slated to begin Thursday in the Pacific with more than 20 ships from the two nations and to feature anti-submarine operations as well as a joint-beach landing. The U.S. Naval Institute’s online news and analysis portal, USNI, noted that the exercises will be the second joint drills between Russia and China in less than a year, following the first “Joint Sea 2015,” which played out in the Mediterranean in April. Clearly… the prophetic fulfillment of major prophecy is at the door…. Iran and the Bomb, now a reality. The signed Nuclear Accord Agreement brokered by the US between Iran and other western nations is now official. Many articles could be read and much could be said about the deal, but Netanyahu in his eloquence, sums it up in 40 seconds below. The events of today continue to build towards the climax of the infallible word of God. The hooks in the jaw digs deeper still….. The second nuclear accord deadline has now passed with no agreement. Iran nuclear talks may not go on past Thusday. “It seems that the nuclear talks in Iran have yielded a collapse, not a breakthrough,” Netanyahu said at the start of the weekly cabinet meeting on Sunday. “The major powers’ concessions are growing.”……..
Israel’s reliance on Egypt for safety on her southern border is now coming into question. Hamas’ own willingness to jump into bed with Egypt, Hizballah, Iran and ISIS – all at once – undoubtedly creates a confused picture about its shifting motives. However, Israeli policymakers must beware of falling into the dangerous trap of ambivalence and loss of focus. The various sects of Islam are actively killing each other all over the Middle East and North Africa, but they all have one thing in common, and that is their hatred for Israel. Time seems to be fleeting these days; literally. The world and the physical makeup of the earth are changing at breakneck speeds. We are living in perilous times, and the confusion and deception grows almost exponentially by the day. The Apostle Paul said we would be able to “see the day approaching”, and certainly in the general sense we can, as the world descends into uncertainty. But perhaps there is also a more direct meaning to his prophetic utterance. Perhaps a certain biblical prophetical event will take place, a warning if you will, and without exception the believers on the earth will “see the day approaching”. That is to say, the day of the Rapture. In Jeremiah there is the Prophecy against Elam. The Lord is angered by what is taking place in Iran/Persia and says he will break Elam, the chief of their might. Elam is home of the Bushehr Nuclear plant and there have been unconfirmed rumors of hidden nuclear weapons beneath the facility. Certainly that would be “the chief of their might” if the rumors are true. The ongoing nuclear talks have stalled and resumed, but all to the dissatisfaction and fear of Israel and very lax oversight from the U.S. administration. 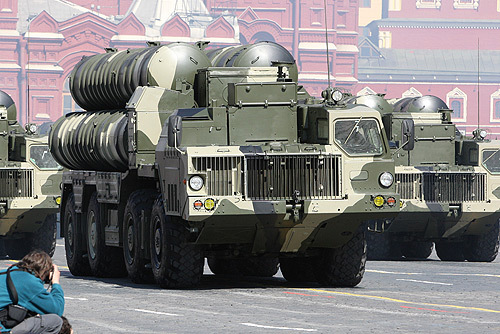 Now Russia has supplied Iran with the S-300 Surface-to-Air Missile System, and once operable will provide Iran with an impenetrable shield against an Israeli military air strike. If anything, Russia’s move has clarified the situation. Israel’s duty to defend itself has never been more urgent and an attack scaled to wipe out Iran’s nuclear emplacements would likewise be a favor to any number of Sunni states that tremble from Iran’s Shiite encroachments throughout the Arab world. The U.S. administration has now stated publicly that Iran only needs 2-3 months to produce a bomb. Energy Secretary Ernest Moniz on Monday acknowledged that the US has known for years that Iran is just two to three months form having enough fissile material for a nuclear bomb. 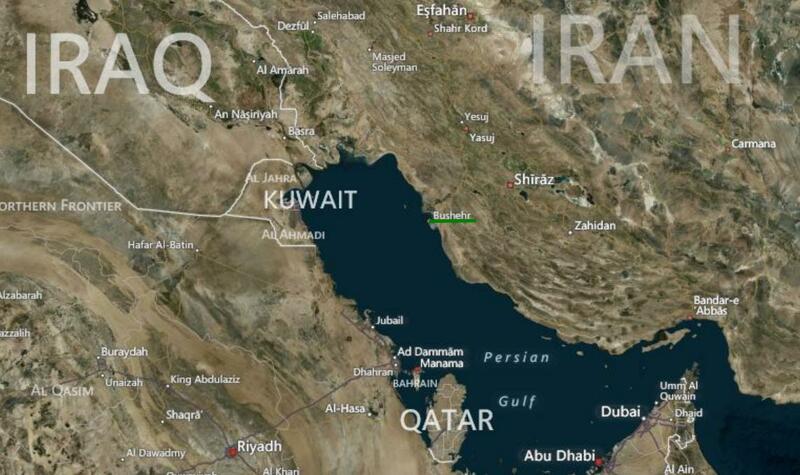 Two days ago Iran’s seismological centre says a magnitude-4.1 earthquake has jolted a sparsely populated district some 200 km southeast of Bushehr, a Persian Gulf town that is home to Iran’s nuclear power plant. 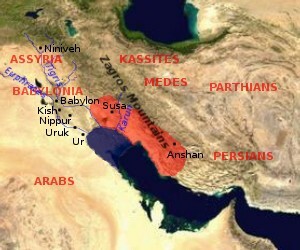 The nuclear accord talks and the Bushehr Nuclear plant located in ancient Elam complement the Prophecy against Elam. Whether by Israeli airstrike or massive earthquake, the Prophecy against Elam will be fulfilled, and soon. The author recognizes the following details that reside outside of the Prophecy against Elam are speculation, but these details are too tempting to resist. The Iran nuclear deal has a “political agreement” deadline of March 31st while the more complicated technical aspect agreement is June 30th. Is the political nuclear agreement due March 31st directly tied to the recent shutdown of the Bushehr nuclear plant in Iran? Israel has called the emerging deal as ‘incomprehensibly’ bad. As Iran hailed “massive progress” toward a deal on its nuclear program, an Israeli official described the terms of the looming agreement as “incomprehensibly” bad and rejected the Obama administration’s contention that it would keep the regime a year away from accumulating enough fissile material for a bomb. Iran shut down its Bushehr nuclear plant around the beginning of March to refuel the power plant and will take 2 months to complete. 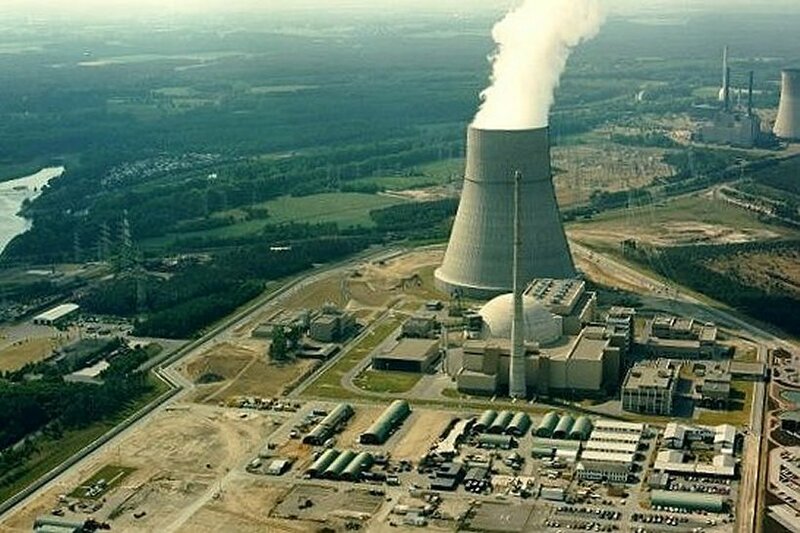 The Atomic Energy Organization of Iran (AEOI) has been quoted by IRNA state news agency as announcing that Bushehr plant will remain shut down for two months. It added that the annual refueling deadline for the plant falls in June. “However, given that June is a period when electricity consumption reaches its maximum, Bushehr plant needed to be put off the stream sooner to prepare it for the summer consumption peak,” said the AEOI in its statement. Bushehr plant officially began its operations in September 2011, generating electricity at 40 percent of its capacity. The commercial production of the plant is expected to happen later in 2015. Iran and Russia signed several deals in late 2014 over the construction of two nuclear reactor units at Bushehr plant. The deals also envisage the building six more reactors in the project in the future. Iran says it has shut down its Bushehr nuclear power plant based on a previously arranged schedule. 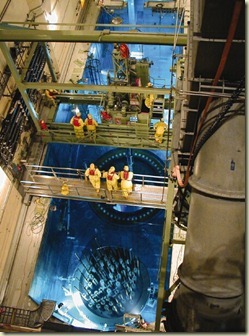 Refueling spent fuel rods is a delicate and dangerous operation. An accident would be catastrophic . The Bushehr plant is located in the ancient Persian area of Elam and is prone to earthquakes. The plant experienced a 7.7 quake in April of 2013. The recent Fukushima disaster was created after a 9.0 earthquake caused a tsunami to hit the facility. Jeremiah’s prophecy is clear that the disaster will cause a dispersion of people from the area of Elam. Today marks the first of 6 total solar eclipse between now and April of 2024 and the last within the final blood moon tetrad for this century. The total solar eclipse is a sign of trouble for the world according to the rabbinical interpretation of eclipses. Today, Iran delegates left the nuclear negotiations in Lausanne to attend a funeral. The Iranian delegation suddenly informed its US, British, French, Germany, Russian and Chinese counterparts Friday, March 20, that they were packing their bags and leaving Lausanne for Tehran later that day to attend the funeral of President Hassan Rouhani’s 90-year-old mother and would return next week…. Earlier, Foreign Minister Mohammed Jawad Zarif and US Secretary of State John Kerry failed to break the impasse on a nuclear accord at their sixth meeting. The Iranians set no date for resuming the talks, although other sources mentioned Wednesday, March 25. Another sign of a crisis was the cancellation of a briefing Friday in Brussels of British, German, French and European Union leaders on progress in the negotiations, that was supposed to reflect progress toward a deal by the March 31 deadline…. An hour before France, Britain and Germany were to join the talks in Lausanne, the Iranians announced they were about to leave…. Speaking to Western news agencies Friday, Western and Iranian officials admitted that all the sides were very far apart. “We are not close to anything resembling a draft agreement,” said a European negotiator. God said there will be signs in the sun, moon, and stars and these signs will surely intensify now until His return. We are seeing small doses of what is to come, and when it comes, it will be exponential in growth. There is one and only one way out of this mess, and that is through the redeeming blood of Jesus. Do you know Him?